Though I hardly knew heroin from horseradish, I did know Jerry Jaffe. 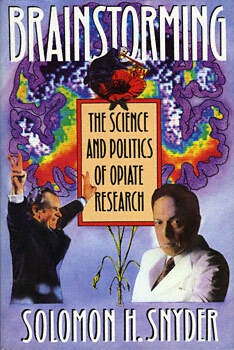 He and I were part of a rather small group of psychiatrists with an interest in biological approaches to mental illness. In the 1960s, when both of us trained, psychiatry was still dominated by psychoanalysis. A psychiatric trainee who expressed a strong interest in basic biological research was regarded as somewhat peculiar, perhaps suffering from emotional conflicts that made him or her avoid confronting "real feelings". An interest in science was regarded almost as sick, some sort of strategem to avoid the psychoanalytic issue that mattered by fleeing to science. Jerry and I were both in this group of pariahs...When I saw Jerry on television and in the newspapers with President Nixon, I phoned to congratulate him and to offer whatever assistance I could provide.